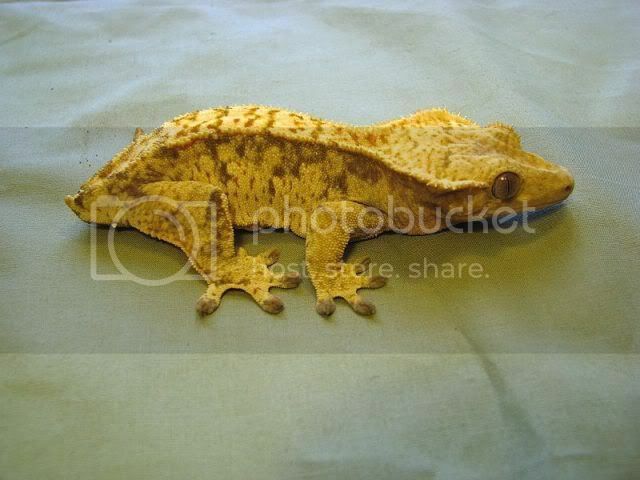 Here's a gecko that I sold to a member on here a month or so ago. I'm still holding her until the weather allows shipping... should be soon I hope! It's probably not too flattering, but I call her "Freak". 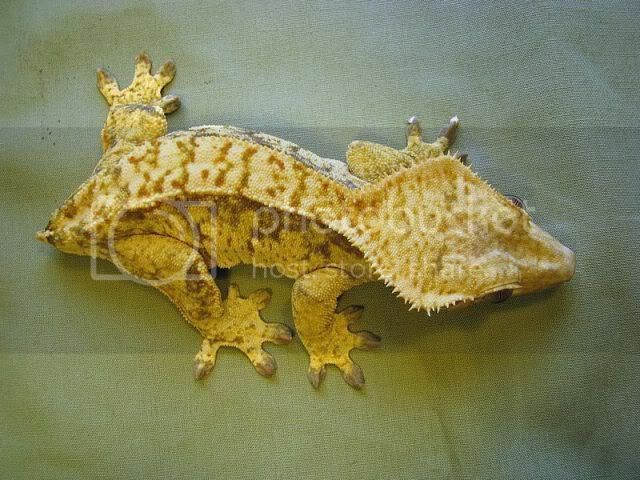 She just has so much yellow and cream, and her structure is unbelievable. She even grew faster than all of her "peers". The only negative is that she dropped her gorgeous snow white tail as a youngster. The only one of the year's crop that did that. She's a full sister to MissKiwi's "Starburst". The only reason I let her go is that I held back a couple of full siblings last year, and I have a new baby on the way, so it will be a very busy spring / summer. She's a hard one to let go. Anyway, I was messing around with some pics as I was updating my website and thought I'd throw these up. The colors are pretty "warm" due to the lighting, especially in the 3rd photo. Her "cream" is really quite bright. She is very, very pretty! Lucky person to get her! Jesus! When did you have that one for sale. Sorry, I should have said that I sold it to someone who is a member on here. I didn't actually post her for sale here. She didn't even make it to my website before being sold. 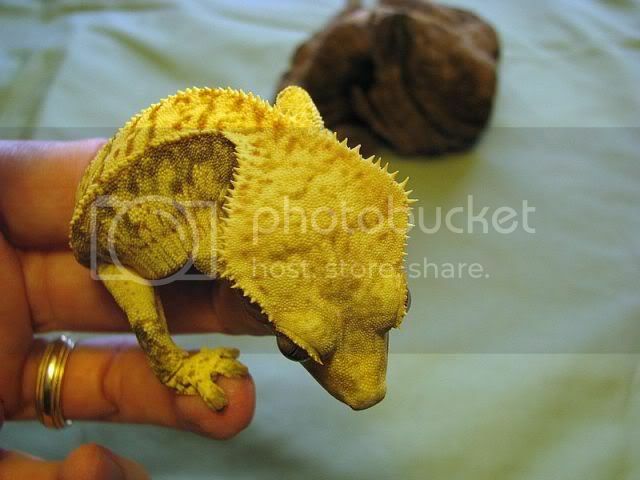 I just had someone buying another gecko and in a "moment of weakness" I let this one go too. But, it's all good... she's going to a good home. You could have auctioned her. Haha. Dagan. Illumination Exotics Facebook. iHerp. Artwork.